This past Friday after Lauryn Hill arrived over 2 hours late to a show in Atlanta, fans responded angrily on social media. 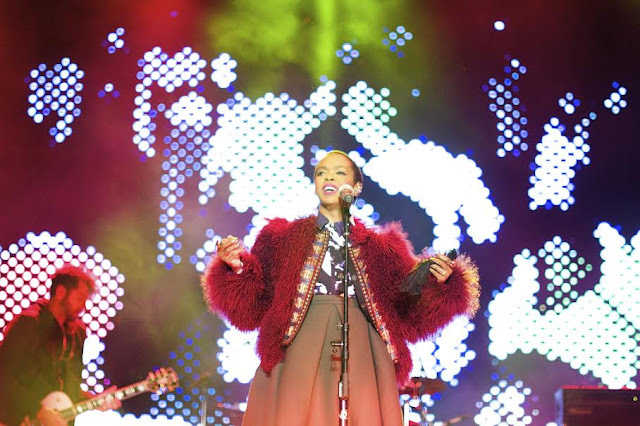 Ms. Hill, scheduled to go on at 8pm at the Delta Live Nation concert series didn’t take the stage until 10:20 p.m. Just 40 minutes into her set, the Chastain Park Amphitheatre cut off her microphone, enforcing their strict 11 p.m. curfew. After attempting to perform for a few more minutes, Ms. Hill signaled asking to perform for 10 more minutes, but was denied, causing her set to end early, leaving fans angry. Unfortunately, this wasn’t the first time it’s happened, and it may not be the last. Ms. Hill has developed a terrible reputation for being late to almost all of her shows. Some say that it’s tarnishing her legacy, while others like Talib Kweli jumped to her defense on Twitter. If you’re an avid music festival goer like I am, then you know that music festivals are bound to strict guidelines and set times based on permits and balancing the schedules of dozens of artists. A disgruntled fan in 2014, I waited 45-minutes past her set start time for her to arrive at VooDoo Fest in New Orleans. Ms. Hill, similar to her experience in Atlanta last week would have her music shut off. She would return at the end of the festival to finish her set, again, this time 50 minutes late before the show would resume. She’s a legend nonetheless, but we all have our limits. A few weeks ago, I watched her perform during a live stream concert on Tidal. Despite a great show, she seemed a little off to me. As if her live experience was the only thing she had left. It really got me thinking. There’s a possibility that we might be asking the wrong questions. Why Ms. Lauryn Hill is always late might not be the answer to the question we really want to know. Instead, maybe we should be asking, “Is Lauryn Hill okay?” It’s been nearly 18 years since she released The Miseducation of Lauryn Hill. Her rearrangements of the original music have lost the interest of some. But it might be an attempt for her to maintain her relevancy for fear that we might all lose interest completely. What do you do when you’re fighting so hard to stay connected to the person you once were? After all, she's no longer just the dope artist we knew from the 90's, but now also the mother of six kids. It might be time to start digging deeper. In 2012, news surfaced that she didn’t pay her taxes from 2005-2007. She stated, "She withdrew from society at large due to what she perceived as manipulation and very real threats to herself and her family." But just exactly what kind of threat could she be facing? This same year, she would pen a letter to her fans, which many felt she abandoned them. "I did not deliberately abandon my fans, nor did I deliberately abandon any responsibilities, but I did however put my safety, health and freedom and the freedom, safety and health of my family first over all other material concerns!" she wrote on her blog in June 2012. I can’t help but wonder if I am the only one noticing this reoccurring pattern. It’s almost starting to feel like a silent cry for help. In an excerpt from her Facebook post, she shared concerns of her health, but only if you read between the lines. “I don't show up late to shows because I don't care. And I have nothing but Love and respect for my fans. The challenge is aligning my energy with the time, taking something that isn't easily classified or contained, and trying to make it available for others. I don't have an on/off switch. I am at my best when I am open, rested, sensitive and liberated to express myself as truthfully as possible.” In the article, the opening statement makes me read that something’s out of control, similar to a drug addict or someone who has the ability to acknowledge that something’s wrong but is unable control it. Just to be clear, I’m not making any accusations. I am however tired of hearing the same responses without any solutions. I’m conflicted, as others who have supported her for so long, but I’m afraid that whatever’s going on may be a little deeper than chronic tardiness. This year’s been a rough year for our people, and we’ve already lost too many legends. I’d rather Lauryn take the time to rest than to continuously see her show up for shows late and blaming her driver for her tardiness. Lauryn, whatever you’ve going through, it’s okay to acknowledge that you might not be okay. I just hope that one-day, you eventually are. What are your thoughts? Will you continue to support her, or is it too late?